Mike McCarthy, it is time to listen to the masses – feed Aaron Jones. THAT fumble against the New England Patriots was costly yes but Jones is by the most talented running back on the Green Bay Packers roster by some distance. He is averaging an incredible 6.0 yards per carry, making him one of the most consistent options in the National Football League. Currently averaging 58.2 rushing yards per game, Jones notched a season-high 86 yards on 12 carries a fortnight ago before recording 75 yards on 14 rushes against the Patriots. You won’t find many Packers fans blaming Jones’ fumble for that defeat, though most will admit that it was a huge moment in the contest of that clash. Jones also showed his capabilities as a receiver, notching two catches on a season-high four targets. With the cold weather edging closer, Jones could be set to take control of the Green Bay running game. McCarthy should trust in Jones to carry the Packers offense as we enter the business end of the season – if he doesn’t believe in his ability now, he probably never will. The Packers are still in the mix to win the competitive NFC North but Green Bay need wins and they need wins quickly. One of the most important stats regarding Jones is his ratio of moving the chains. 34.5% of Jones’ rushes has gone for a first down this year and his impact in short yardage situations is clear for all to see. Most Packers fans can’t quite understand how McCarthy hasn’t realized that Jones is Green Bay’s most gifted runner – Jamaal Williams is still seeing plenty of action out of the backfield. Bettors can back the Packers at 5/1 to win the NFC North in bet365 NFL odds and it would be foolish to write McCarthy’s men off just yet. With Aaron Rodgers, anything is possible – we could be set for an exciting end to the 2018 campaign. Green Bay’s remaining schedule is favorable and the Lambeau Field faithful will be hopeful of snatching a playoff berth; either by winning the division or snagging one of the wildcard spots. This whole ‘Jones gets a drive, Williams gets a drive’ nonsense simply has to stop. You only need to watch a few offensive drives to determine the more gifted running back; it is quite clearly Jones. Williams is averaging less than 4.0 yards per carry this year and Jones looks set to take control of the Packers backfield. If not, it could be detrimental to Green Bay’s hopes of competing against the best teams in the NFL. 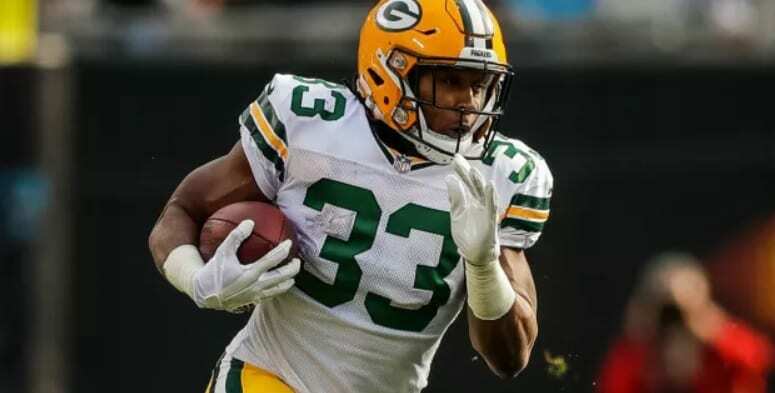 Aaron Jones is the best running back on this Green Bay Packers roster and it is about time Mike McCarthy realized it. Fans could see lots of Jones in the coming weeks; his snap count has risen over the last couple of games and the Packers may lean heavily on the 23-year-old throughout the rest of 2018. Watch this space, Jones can make the difference for Green Bay in their pursuit of glory.